Whether you call it a salad, a dressing, or a stuffing, this wild rice side dish studded with plump cranberries and tart pickled apples is a perfect addition to the Thanksgiving table. Earthy and flavorful wild rice is studded with two bright and fruity elements in this salad—sweet-tart dried cranberries and tangy pickled apples. Toasted pecans add a rich and nutty note, while sautéed onion and celery contribute some aromatic depth. It's perfect for the Thanksgiving table. Cranberries both add their own kind of pleasant tart sweetness. Meanwhile, in a medium saucepan, combine white wine vinegar with 1 cup (235ml) water, 2 tablespoons (25g) sugar, and 1 teaspoon (4g) kosher salt. Bring to a simmer over medium-high heat, stirring to dissolve sugar and salt. Place apples in a stainless steel mixing bowl nested in a larger mixing bowl full of ice water. Pour hot vinegar brine over apples, stirring to chill rapidly. Once cool, press a clean paper towel against the surface to fully submerge apples. Set aside or refrigerate for up to 3 days. In a separate heat-resistant bowl, pour about 1 cup boiling water over cranberries. Stir in remaining 2 tablespoons (25g) sugar until dissolved. Set aside. In a medium skillet, heat butter over medium-high heat until foaming. Add onion, celery, and thyme sprigs, and cook, stirring, until tender but not browned, about 4 minutes. Discard thyme and set aside. 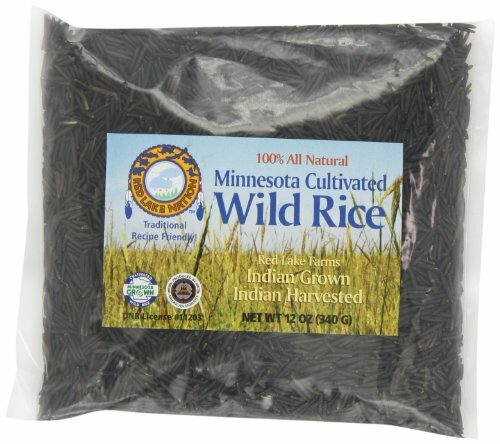 Using a fine-mesh strainer, drain wild rice well; let cool to near room temperature. Transfer to a large bowl and mix with sautéed vegetables. Drain cranberries and add to rice. Using a slotted spoon, transfer pickled apples to wild rice, reserving the pickling brine. Add parsley, tarragon, chives, and pecans to rice. Stir to combine. Season with salt and pepper. Mix in 1 tablespoon reserved pickling brine at a time until salad tastes bright and flavorful. Serve. The entire salad can be mixed together, except for the pickled apples and herbs, and refrigerated up to 1 day in advance. The pickled apples can be made separately and held in the brine, refrigerated, up to 3 days in advance. Bring to room temperature, or warm slightly, before mixing in the pickled apples and herbs and completing the salad.